You want sunny beaches? Oh, silly me: as I’m writing for my fellow stoics here in the frozen tundra, it’s 22 degrees and snowing. Of course you do. 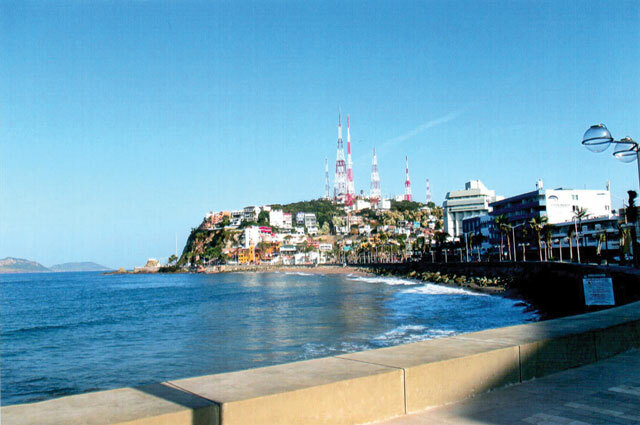 But unlike those Mexican resort towns purpose-built to lure tourists, Mazatlan has more. The Pearl of the Pacific, as it’s called, is a vibrant working city of 475,000, founded in 1531 by those original tourists called Spanish Conquistadors as a working port to send precious metals from the nearby gold and silver mines back from the New World to the Old. 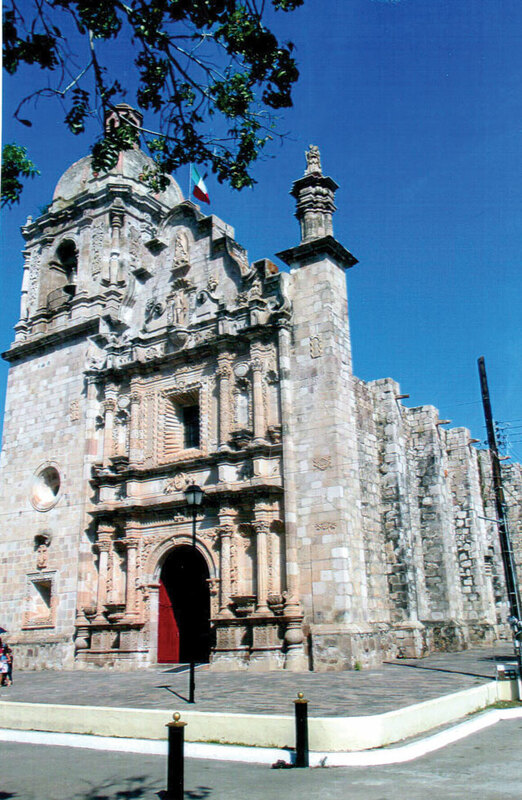 Of course, those conquistadors required houses, and, to convert the locals, pretty churches. Today, the city’s Centro Historico is a landscape of those romantic stucco buildings, framed in graceful arches and balconies frilled with intricate wrought iron. They circle its centerpiece, Plaza Machado, shaded by swaying palms and a bandstand where musicians congregate at night. The GLBT also community receives a warm welcome in Mazatlan. Its prime gay bars include Banos Mazatlan Sodomas; Vitrolas; Pepe Toro; and CQ Open Mind, a disco club. 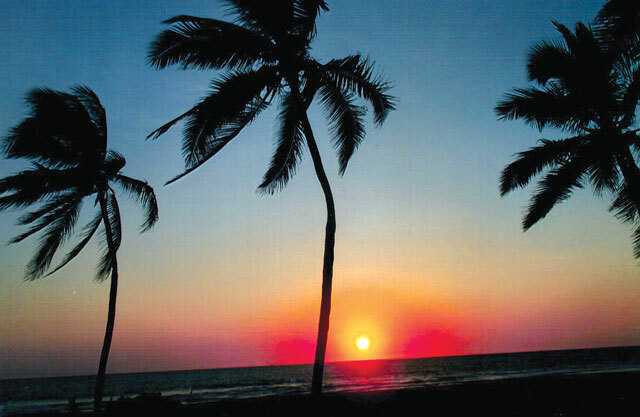 Add in a four-plus-mile ocean boardwalk called the Malecon—newly embellished with palms and streetlights punctuating the widened promenade—and the magic is made clear. 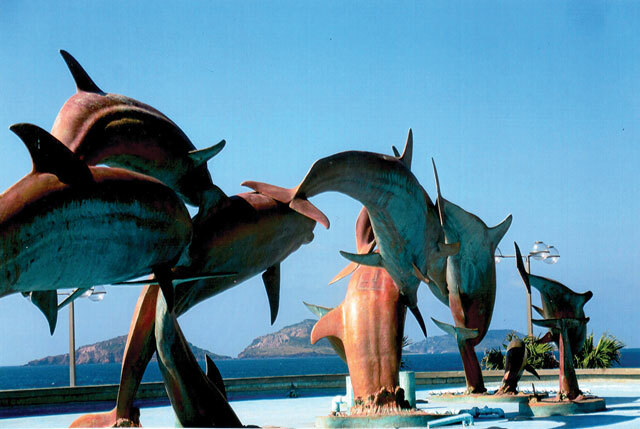 By day, folks stroll pasts its majestic outdoor sculptures of dolphins and mermaids and dip toes into the crashing waves below, while at night it’s festive, with strolling guitarists and pop-up food stands serving families in their finery out to catch the breeze and the gossip. For a 360-degree view of the harbor and the city clasped by the green Sierra Madre hills, head to the outdoor bar atop the classic ’40s Hotel Freeman anchoring the Malecon, then grab a bite at cosmo Casa Lucilla a few blocks further, where a breakfast of huevos rancheros and frothy cappuccino fuels a day’s delightful wander. While it’s still cool, discover the Plaza Republica, where shoeshine stands vie to buff up your Adidas before you inspect the Cathedral of 1856 with its fancy stucco façade and jewel-like stained glass. Then turn to Mercado Pino Suarez, teeming with indoor stalls selling gorgeous melons, pyramids of guavas and papayas, fancy pastries, aromatic spices and more, more, more—including brightly striped serapes, tacky souvenirs, and everything Frida, like the Frida Kahlo purse I didn’t know I needed, sporting a unibrow portrait of the famous artist. Return, then, to Plaza Machado to explore the Teatro Angela Peralta and maybe catch a performance, or its cheeky modern art show honoring Mexico’s Day of the Dead. By nightfall, the plaza’s necklace of cafes springs into action (and their low-low prices are no misprint). Café 46, a newcomer, is a looker with a fascinating menu but lags in service, while venerable Pedro y Lola delivers on all counts, starting with its yummy guac and garlic shrimp (Mazatlan is the shrimp capital of the land) and frosty margaritas or Pacificos (the famed beer is brewed in this town). If it’s ocean-fresh ceviche you crave, a little dive called La Perla serves more varieties of sea critters than seen in most aquariums, along with cold Pacificos, which your waiter will deliver from…who knows where? He runs in clasping icy bottles from somewhere down the street. To escape the civic bustle and enjoy some oceanside solitude, we stayed at a lovely resort half an hour from the town center called Estrella del Mar. Its 900 acres sport tennis courts and golf courses, a spa where magical massages are offered, and a huge, warm pool to paddle after strolling the endless miles of private velvet sand, stopping to gather wave-polished seashells as the surf delivers fresh foam to your ankles. Mornings, it’s perfect for spotting dolphins and pelicans patrolling the waters, while at sunset, it’s showtime as the orb, glowing like a molten tangerine, slinks slowly below the ocean. Sundown is also the time for the daily release of newly hatched turtles from the property’s sanctuary into the Pacific waters, and resort guests are invited to help. 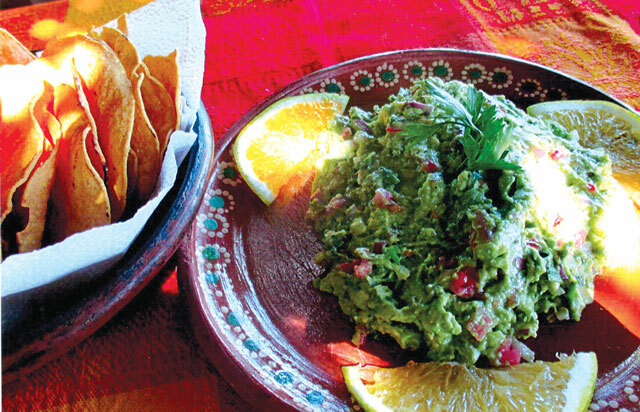 Then, time to eat: Estrella’s restaurants specialize in mountains of fresh guac, more ceviche, and generous platters of that addictive garlic shrimp. When you tire of the hammock-and-chaise routine, it’s time to explore the best of the historic colonial villages nestling in the nearby Sierra Madre Mountains, where tiny El Quelite shines as the area’s beauty queen. 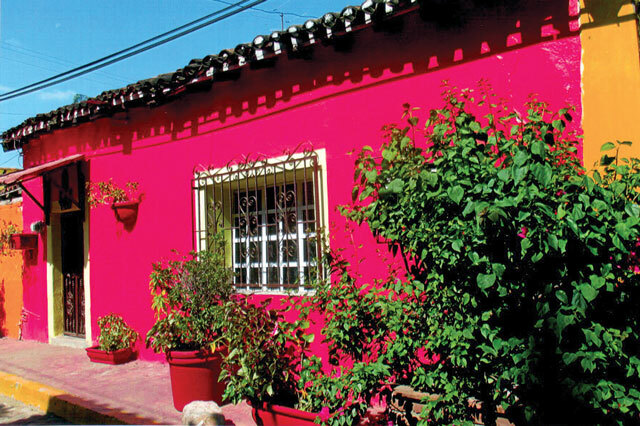 Its cobblestoned central avenida is lined with camera-ready houses, freshly dressed in stucco of Pepto pink, blaze orange, hazard lime, Prince purple, and swimming-pool aqua, accessorized by fancy ironwork. A saint-clad church stands open next to the central plaza, while across the street beckons the site that makes this town a destination: El Meson de los Laureanos, an irresistible tangle of antiques-laden rooms that serve as the area’s best restaurant, starting off with a special coffee scented with oranges and cinnamon. Then on to carnitas, barbacoa, chilaquiles, and chicharron, amid the panoply of Mexican dining icons on offer. The meal starts with sweet corn pancakes and tropical fruit and finishes with a bevy of desserts, from puddings of burnt cream to pineapple, on to candied papaya. On the return drive, tequila lovers may pause at La Vinata to learn the age-old process, then sip samples of the distillery’s La Osuna brand’s smooth, barrel-aged products. Concordia, an hour southeast, was founded by conquistadors in 1565 and proud of it, as a stroll past its municipal murals demonstrates. But its biggest claim to fame (and so worth it) is its magnificent 18th-century church dedicated to San Sebastian, with every inch of its Baroque stucco façade embellished with tangles of carved images, convoluted pillars, angels with stony gazes. Its single tower bears a giant bell. Continue to the cobbled streets of tiny (pop. 600) Copola, whose pretty stucco houses date back 350 years to the height of the silver-mining rush that founded the town. Today, it’s settled back into a sleepy village anchored by another marvelous church—this one of 1748—whose carvings incorporate pagan symbols (a smiling sun god) as well as an image of the devil, who’s instructed not to enter. Nearby, the town’s tiny former jail has been converted into a mini-museum of mining tools from its heyday. Great article on Mazatlán! We are gay, own a vacation home here for last 8 years. Hope many LGBTQs will come visit this vibrant magical city. Should any of your readers need local insight. I am here to help. Great article! This is a vibrant, fun destination. Come visit. You won’t be disappointed! Have visited many times and have always loved the friendly & helpful locals! Many things to see and do in this great city. The beaches could be a bit more clean though!